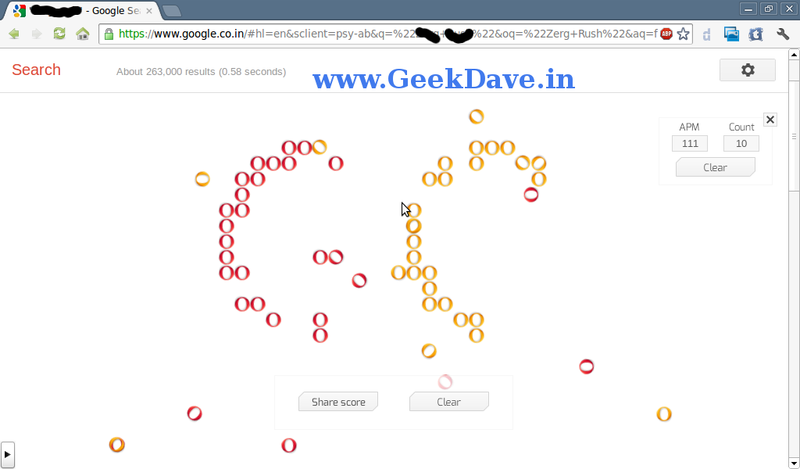 I'm back with a new Google Game Trick.you might be knowing already about Google Marine . So now what's new ? well you can play a simple game in Google ! , yes i'm not Joking. basically what happens when you search a Magical Query on Google search it will cover your original result with a Game. where you have to just save Google's Elements from "O" and "O" colored latter . now back to the point . You Need a Google Plus(+) account to use this game. just enter Zerg Rush and then press Enter .